Lines are up and down. We're trying to answer anyway. Please bear with us, and just keep trying to get through. Walk-behind tractors (also called walking, two-wheel or hand tractors) are used worldwide for small-scale farm, horticultural, industrial, landscaping and home use. Unlike the psuedo-professional equipment of the same physical size produced for the U.S. Market such as DR® and Troy-Bilt®, European two-wheel tractors are built to standards of quality and durability expected of agricultural equipment. Like a 4-wheel farm tractor, these rugged two-wheel machines are designed to run many attachments with a single power source and give thousands of hours of service. 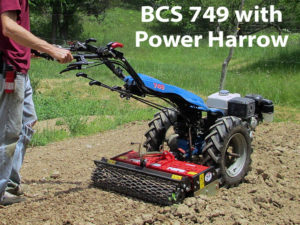 Of the 30 or so companies manufacturing 2-wheel tractors in Europe, BCS is by far the largest. 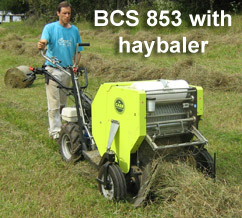 Founded in 1942 near Milan, Italy, BCS sells their equipment in 80 countries and has over 500 dealers in North America. 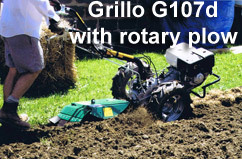 Grillo, from Cesena, Italy, has also been manufacturing walk-behind tractors for over 60 years. 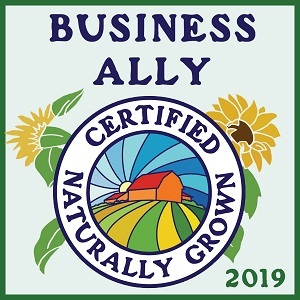 Grillo and BCS have worked together in the past, but they currently operate as competitors… Earth Tools has chosen to represent both the BCS and Grillo brand walk-behind tractors, in order to give our customers a more complete tractor selection. SPECIALIZATION: Experience Counts. The Earth Tools founder has been using, selling & servicing walk-behind tractors since 1977, and Earth Tools is currently the only full-time power-equipment dealership in the USA dedicated solely to Walk-behind tractors. We are currently the largest walk-behind tractor dealership in North America by a huge margin (over 6 times larger than the next largest). BCS America regularly calls us for consultation! 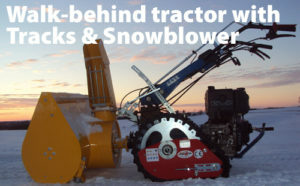 More Implements: We offer and stock more implements for walk-behind tractors than any other dealer in North America, greatly expanding on the implement offerings of such companies as BCS. We currently stock over 40 different types of implements. Engine Options: We offer a wider selection of engines on many tractor models, including Diesel engines. 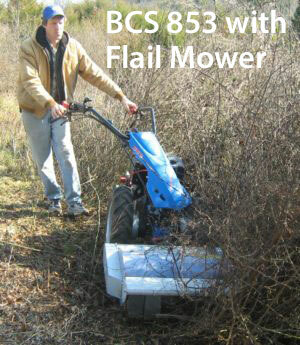 Replacement Engines: We carry a full line of replacement engines to fit all BCS walk-behind tractors. We also carry conversion kits to convert older BCS machines to current engines. 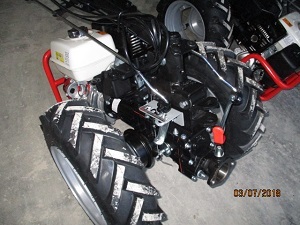 Price: Discounted prices on all tractors, implements and accessories. Reasonable Shipping Rates: For customers beyond a comfortable “driving distance”, we offer equipment shipped 99% assembled at very reasonable rates… right to your door, not just to a shipping terminal. All tractors test run by us prior to shipping. Call for a shipping quote!